Going through any type of divorce is never easy, but it can be particularly challenging in cases of long-term marriages. In addition to the emotional impact, it can leave you feeling vulnerable and insecure regarding what the future holds financially. In these cases, it is vitally important to have an experienced Illinois divorce attorney on your side, to ensure you get what you are entitled to in any divorce-related settlements. Under the Illinois Statutes (750 ILCS 5/504), when one spouse makes significantly less than the other or has sacrificed his or her own career or educational pursuits for the sake of the marriage, that spouse may be entitled to spousal support and maintenance. This is particularly true in cases involving long-term marriages, in which one of the partners has been out of the workforce for decades. In any divorce, all marital property that was accumulated over the course of the marriage must be divided on an equitable, or fair, basis. 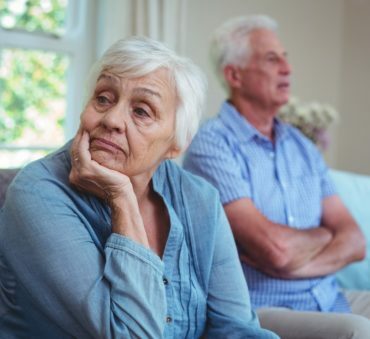 In long-term marriages, in addition to having significant marital property to divide, there are likely to be concerned over collections that have increased in value over the years and inherited family heirlooms from loved ones who are now deceased. In a long-term marriage, your plans for retirement may have centered around receiving a portion of your spouse’s benefits. It is extremely important to ensure their assets are dealt with properly in your divorce. This requires including all pensions, 401k plans, or other benefits your spouse may have accumulated over the years. You will need to determine the best way in which to take distributions and your attorney will need to obtain a qualified domestic relations order (QDRO) to get these funds released. At the Women’s Divorce & Family Law Group, we know how devastating a divorce can be after a long-term marriage. We provide the aggressive legal representation you need to protect your rights in these cases. Reach out and contact our Illinois divorce attorneys to request a consultation to discuss how we can help. There are many factors to consider when contemplating divorce, and a pre-divorce planning session can help you begin to plan for a divorce. Please contact the professionals at the Women’s Divorce & Family Law Group by calling (312) 585-6604 or clicking here to schedule a consultation. Why Is It Important to Establish Paternity in Illinois? What Is Pre-Divorce Planning And How Can It Help Me Prepare For A Divorce? What Can An Ex Spouse Do To Attack A Postnuptial Agreement During A Divorce? How Does Divorce Affect Affluent Women? How Is Joint Credit Card Debt Handled During An Illinois Divorce?